Either neither of them have a place on college campuses, or both do. Ayaan Hirsi Ali, the Somali-born feminist known for her ferocious hatred of Islam, is scheduled to give a talk at Yale tonight, though many campus groups object. Thirty-five student organizations, including the school’s J Street branch and its Women’s Center, have co-signed a letter from the Yale Muslim Students Association saying that they feel “highly disrespected by the invitation of this speaker.” Ayaan Hirsi Ali’s comments on Islam, they say, “have been classified as hate speech.” Further, they argue that she lacks the requisite qualifications. “Our concern is that Ms. Hirsi Ali is being invited to speak as an authority on Islam despite the fact that she does not hold the credentials to do so,” they write. It’s striking how much these arguments echo those that have been made against Steven Salaita, the Palestinian-American professor who was de-hired from the University of Illinois at Urbana-Champaign over his vitriolic tweets about Israel. “It is important to have an institution where people are not afraid to apply or attend because they feel their views are not respected,” University of Illinois trustee Patrick Fitzgerald—the former US Attorney—said about joining the 8-1 vote against Salaita last week. The Chicago Tribune praised the trustees’ decision, saying that Salaita’s tweets had crossed the line into “hate speech.” Some have claimed that the real issue isn’t the professor’s Tweets but his shoddy academic work. “Devoid of any real understanding, context, or nuance, stupidly dogmatic, and frequently given to hyperbolic fits of hatred, it should not qualify as scholarship,” Liel Leibovitz argued on Tablet. Clearly, the similar rhetoric used against the two figures—coming, of course, from very different political camps—doesn’t mean that the two cases are identical. Ali’s supporters could point out that the standards for hiring a professor are much higher than those for letting someone speak on campus. (Last year, when Brandeis revoked its offer of an honorary degree for Hirsi Ali, many people, myself included, argued that she had a right to speak, though not to be honored for what she said.) 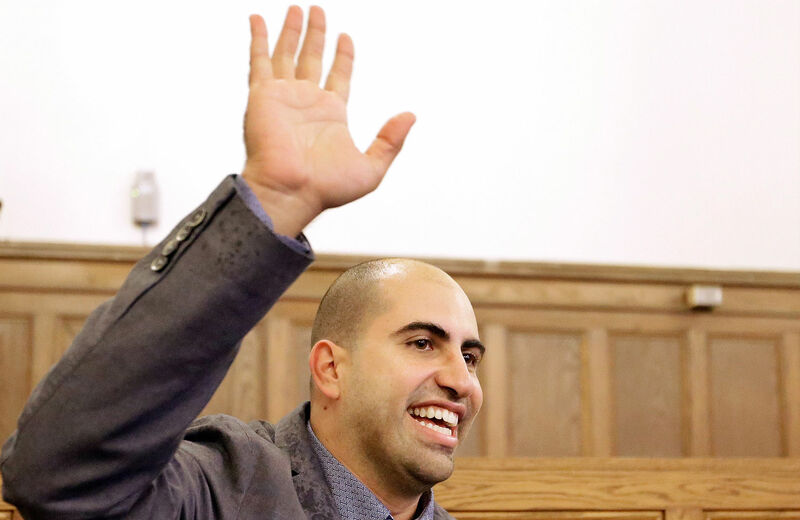 Salaita’s could counter that much more is at stake for him, since both he and his wife had quit their previous positions at Virginia Tech and begun the process of moving in preparation for a job that he had every reason to believe was his. Further, the fact that the school seems to have bowed to pressure from pro-Israel donors will have a chilling effect that goes far beyond his individual case. Still, it’s worth recognizing that arguments privileging “respect” and civility above freedom on campus are always double-edged. If you believe that Hirsi Ali shouldn’t be allowed to speak because she denigrates Islam and makes many students uncomfortable, then it’s hard to see how you can simultaneously claim that Salaita, a professor who has tweeted, “Zionists: transforming ‘anti-Semitism’ from something horrible into something honorable since 1948,” deserves a place in the classroom. The fact is, both Salaita and Hirsi Ali are complicated, inflammatory figures who have, in the face of shocking moral outrages, said outrageous things. They will make some students intensely and understandably uncomfortable—some might even say “triggered.” If you’re going to argue that students have a right not to be so discomfited, then you’d have to take a stand against both of them, which would be a stand in favor of a grimly censorious, anodyne university climate. The alternative is to defend free speech and academic liberty, and not just for those whose views seem righteous.